Meanwhile the deposed King made his way into the countryside with a trusted assistant and his armour and sword. As the sun made its way to the top of the sky, the King felt hungry but there was no place where he could go. He cut off a part of his belt which was studded with precious stones and asked his helper to go to the nearby village, sell off the belt and get some bread and water in exchange. As the helper arrived at the village bakery and presented the belt in exchange for food, the miller refused, saying there was not enough bread in his whole bakery to pay for the precious stones. So they together decided to go to a jeweller and sell the belt. One look at the precious stones and the jeweller realized that the ornament could only belong to the King. Soon news of this reached the leader of the rebels and he gathered a large contingent of soldiers and directed them to make their way to the area where the King had taken refuge and to capture him. As the soldiers arrived at the spot where the deposed King was resting under the shade of a tree, a sudden feeling of guilt attacked them. They refused to capture the King and instead went back to the palace and informed Farrokhzad of their inability to carry out their orders. The infuriated Vazir gathered another small force of his most chosen men and himself took charge and went to the field where Khusrau Parvez lay resting and mulling his fate. The dejected King realized the wisdom of Farrokhzad’s words, even though they were uttered with an ulterior motive. He gave himself up to the Vazir, and befitting his status, the soldiers put Khosrau Parvez onto a caparisoned elephant and escorted him with dignity and full honour to the palace in front of the new emperor. As father and son faced each other, the weakling Shirooy had a sudden attack of guilt, and contrary to the expectations of the courtiers who expected him to have Khosrau Parvez killed, Shirooy ordered that the deposed King be put under house arrest at a separate palace called Mahrespand in Ctesiphon, with all the luxuries and riches befitting a king. After putting the deposed King under house arrest, the courtiers now crowned Shirooy as the new Emperor of Iran. But still reeling under the feelings of guilt at what he had done, the first task the new king undertook was to write a long letter to his deposed father. He summoned two of the sweetest talkers of the court, well versed in the diplomatic arts, and dictated a missive to his father, trying to explain the reasons for the palace coup and justifying his own actions. If the deposed King were to accept certain conditions, including becoming a Mazdakite, then he would be pardoned and the new King would also find it easier to rule over the country. The murder of his own father, King Hormuz and his two uncles, so that Khosrau Parvez could ascend the throne. Unjust taxation of the population, even in periods of famine, which caused hardship and hunger. The house arrest of Shirooy and his sister for no rhyme or reason. Having masked the letter in delicate diplomatic terms, the two courtiers were dispatched to the palace of Mahrespand to deliver Shirooy’s message and get an answer from Khosrau Parvez. Meanwhile, King Khosrau Parvez was kept company by his loyal wife Shirin. Throughout the day, the deposed King would harbour bitter thoughts about the way his fortune had turned for the worse. He remembered the words of the wise astrologers who had foretold these and many other events to him long ago, and which he had laughingly disregarded. Now as news was given to the King that two courtiers had arrived bearing a missive from the new King, Khosrau Parvez sat down on his rich carpet, on which were placed several deep cushions and assumed his regal pose. 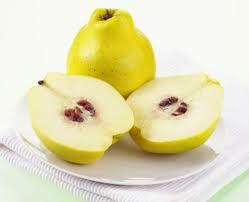 He held in his hands, a large quince (a royal fruit of the apple family). As the courtiers arrived and prostrated themselves before the King, Khosrau Parvez placed the quince on a cushion and moved a little to straighten his back. The movement caused the apple to fall down the cushion, and roll away to the edge of the carpet. The ashamed courtiers saw the sorry state of their real King and could not hold back their own tears. They gently handed over the letter to Khosrau Parvez who read it with moist eyes and a steadily worsening temper. Having finished reading, the King composed himself and demanded that the courtiers listen to him very carefully as he dictated his reply. Would love to see the continuation of this story.